The Economist‘s title story on March 3 this year was about “how the West got China wrong”. In some more detail, the same edition explored as to how China is “not the partner you were looking for”. Now, I’m not thinking of West-East relations as a love affair, and Max Frisch was describing the feelings of individuals. But the quote applies all the same (even if Frisch would certainly disapprove of putting it into this East-West context). Propaganda shapes “collective identities”, and according to Jacques Ellul, it offers man “a remedy for a basically intolerable situation” – the impossibility of grasping “the world’s economic and political problems”. Both Western and Chinese narratives about a disappointing relationship are beginning to take shape. Both are top-down propaganda – people at the grassroots, this blogger included, can only draw information from mainstream and alternative media, blogs (which frequently turn newspaper steaks into hamburger meat without changing the substance), and individual contacts. That’s no great competition for propaganda – rather, it’s part of it. I don’t claim to be able to escape from it, either. I’m experimenting. I’m still blogging because it’s fun. During this summer, I might try to depict “how the West got China wrong”, and “how China” (or uncertain shares of Chinese public opinion, anyway) “got the West wrong”. It may also be interesting to speculate about how we will continue to get each other wrong, or which of the mainstream narratives, if either of them, will prevail – or how they may have to take realities into account in order to prevail. Radio Austria International (RÖI) returned to its usual 70- to 80-minutes shortwave broadcasts late last week, with transmissions from 05:00 to 06:20 UTC from Monday through Friday, and from 05:00 to 06:10 UTC on Saturdays and Sundays. This followed several weeks of reduced RÖI airtime, from 05:30 to 06:10/06:20 UTC only, caused by problems with one of the three (or four) shortwave transmitters at the Moosbrunn shortwave transmitting site. 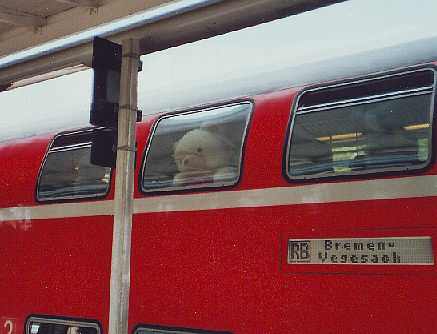 On April 14, Radio Berlin-Brandenburg‘s (RBB) media magazine, apparently based on information from the company operating Moosbrunn station or from Radio Austria, reported that a vacuum variable capacitor had to be replaced, and that Moosbrunn would be back to normal after spare part delivery and fixture. RBB noted that only two transmitters were functional at the time, and that the operators had to switch the first thirty minutes of RÖI’s morning transmission to Radio Japan, which also goes on air from Moosbrunn at 05:00 UTC. After the end of radio programs produced for listeners outside Austria, the Moosbrunn operators have relied on selling airtime to a number of foreign radio stations, including Radio Japan, Adventist World Radio, DARC (Germany’s ham radio association airs a one-hour broadcast on every Sunday morning from there), the BBC, and a number of other broadcasters (see table there). Radio Japan invariably broadcasts via Moosbrunn from 05:00 to 05:30 UTC during the winter and the summer season. RÖI’s program varies with daylight saving time. It is aired from 07:00 to 07:20/07:10 central European time and during European Summer Time alike, which spells 06:00 – 07:20/07:10 UTC from late October to late March, and 05:00 – 06:20/06:10 from late March to late October. Listeners were in for a surprise on May 16 however, when RÖI went on air at 05:00 UTC, to give only two news headlines and then go back off air. It came back around 05:30 UTC, as had been the case during the previous weeks, but I’m told that on Thursday morning (this morning, May 17), the program was safely on air all through the scheduled first half hour (and probably beyond). According to RBB, the operators of Moosbrunn transmitting station air RÖI’s domestic program (there is no program targeted at listeners abroad by RÖI anyway) out of legal necessity, to justify the operations, as pro forma, the site still serves to convey information concerning Austria to an audience abroad. RÖI programs are broadcast on 6155 kHz, while Radio Japan’s programs are using 5975 kHz. Radio Japan’s broadcast is in English, and there haven’t been German programs produced by Japan’s foreign radio for decades. In 1987, the German service had celebrated its 50th anniversary. This is a sad day in Trier, Rhineland-Palatinate, Germany. The city where Karl Marx was born in 1818 has accepted a Marx statue as a gift from the Chinese state. As news magazine Der Spiegel wrote in March 2017, 42 members of the city parliament supported the idea of taking the statue, seven opposed it, and four abstained. The statue is scheduled to be unveiled this morning. But this is missing the point. A “present from the PRC” is a present from the regime. A Green deputy put it best, a year ago: “by accepting a gift, you honor the one who makes the present,” he reportedly said. By refusing to take it, Trier could make a case for human rights. In an interview unrelated to the Trier statue, but about Marx, Gregor Gysi, former head of Germany’s Left Party from 1989 to 1993, and currently president of the Party of the European Left, when asked why Marx’ ideas deserve attention, given that regimes around the world had justified dictatorship and human rights violation with his ideology, suggested that state socialism had abused Marx. What should be striven for was a freedom-based socialism “that picks up the things capitalism does well, that leaves out what capitalism can’t do well, but only with the support of a popular majority”, plus separation of powers. But while acknowledging that state socialism was a failure, he also pointed out that all (three) attempts to date to establish genuine democratic socialism – the Paris Commune, the Prague Spring, and in Chile – had been struck down by the military. When it comes to the Greek Chinese gift, even mainstream German media can see some good in Marx: according to Friedrich Engels, he once said that “all I know is that I’m not a Marxist”. After Marx’ death, Engels ascribed this to Marx, in a critical letter to Paul Lafarge, an opponent to reformism. Leftists may tend to idealizing democratic socialism – as far as I can see, Salvador Allende, one of the democratic socialists cited by Gysi, did not really have a mandate of a majority for “radical” policies. But many who take gifts from China – even professorships and statues – aren’t terribly interested in Marx anyway – they are interested in Marxists (provided that those are wealthy and generous). In Lower Saxony, the same cabinet that oversaw the delayed award of citizenship to a British-Italian applicant in 2009 (it became a protracted affair, because she was a member of the left party), sounded happy tunes about China’s financing of one-and-a-half professorships at Göttingen University, in 2010. Marx? God forbid. But money doesn’t stink. And avoiding offense to the CCP spells business for Trier. The feelings of Chinese tourists must not be hurt. Marx isn’t the problem. But there are still a few problems in his country – his native land, which once forced him into exile.